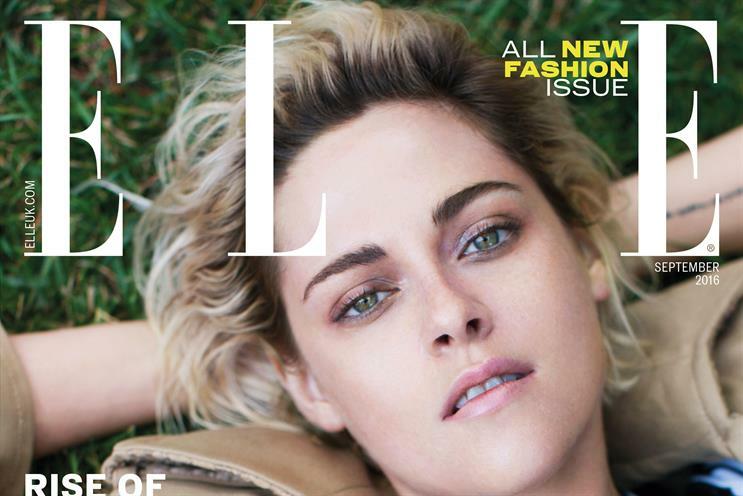 Hearst Magazines is relaunching Elle UK with a new distribution strategy, look and direction. It is almost a year after it revamped Cosmopolitan which was given a new look and distribution strategy under new editor Farrah Storr. Elle readers will be able to pre-order copies of the September issue with a cover of their choice between 1 July and 6 July as part of a "print on demand" distribution approach. The September edition is available in five different cover options to appeal to different audiences. They will feature Kristen Stewart, Zayn Malik, Hari Nef, Amandla Stenberg, and a specially commissioned bespoke art cover. Hearst has also struck a deal with MatchesFashion.com, Space NK and Lookfantastic to distribute Elle. The magazine will also be available at events including London Fashion Weekend. The revamped magazine will have new contributors and a greater focus on beauty with a new eight-page directory. Its website has also been redesigned and will deliver content timed according to users' habits. Elle’s group publishing director, Jacqui Cave, said: "These innovations and changes are driven by our deep insight into the demands of our audience. "Through our ‘print on demand’ strategy and our emphasis on our new distribution partnerships we expect to create new connections with the Elle community. "The redesigned magazine celebrates the unique experience of luxury print, whilst the refreshed Elle website demonstrates our aim of giving consumers inspiring content in a format to suit them."